Source: Netgalley; thank you, Macmillan! Two proud kingdoms stand on opposite shores, with only a bloody history between them. As best friend and lady-in-waiting to the princess, Branwen is guided by two principles: devotion to her homeland and hatred for the raiders who killed her parents. When she unknowingly saves the life of her enemy, he awakens her ancient healing magic and opens her heart. Branwen begins to dream of peace, but the princess she serves is not so easily convinced. Fighting for what's right, even as her powers grow beyond her control, will set Branwen against both her best friend and the only man she's ever loved. Inspired by the star-crossed tale of Tristan and Eseult, this is the story of the legend’s true heroine: Branwen. For fans of Graceling and The Mists of Avalon, this is the first book of a lush fantasy trilogy about warring countries, family secrets, and forbidden romance. 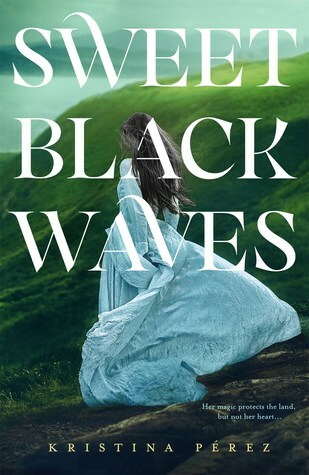 Inspired by the tragedy of Tristan and Isolde, Sweet Black Waves by Kristina Perez gives you a unique view into the romance we all thought we had known. Branwen, cousin and lady in waiting to Princess Essy, apprentices under her aunt, the Queen. When a man from the enemy’s land washes upon shore, Branwen struggles with herself to heal a dying man but also to heal a man whose colors are the same that killed her parents years before. What she did not expect, however, is to fall in love with the man, Tristan, who is keeping more secrets than she knows. In this gorgeously woven tale of romance, magic, and adventure, Sweet Black Waves is sure to sweep you off your feet. The story was completely unexpected. Most days, I usually go into books blind, not knowing anything about them. I went into Sweet Black Waves thinking it was a retelling of Tristan and Isolde from Isolde's lady in waiting's perspective. However, this gives the lady in waiting the spotlight and bumps the Isolde character to the sidelines. I enjoyed this take on the tale. Changing the position of the female character—from princess to lady in waiting—removes some conflicts of the original tale, leaving it open to Perez to spin the story differently. Even though I'm familiar with the original tale, Sweet Black Waves is still able to keep readers on their toes. With most fantasy books, I always have trouble remembering characters’ names. Sweet Black Waves is no exception. As a guide for myself, I created a small character chart on who was who in the palace as the first part of the book seemed to introduce them so quickly. After a few chapters, the names and characters become much easier to differentiate. The writing was absolutely superb. The imagery fully immerses readers into the story. The gorgeous oceanside setting captures the many fantastical elements riddled throughout the plot. The ship, the palace, and the cave—all the settings of the book—vividly take hold in readers’ minds. The writing was so poetic that I hope to read more from Perez in the future. There are some magical elements that added a high fantasy vibe to the story that I really enjoyed. It seemed to take the story to the next level. Through these elements, Perez gave us a look deeper into the character’s actions and was able to enhance the setting tenfold. 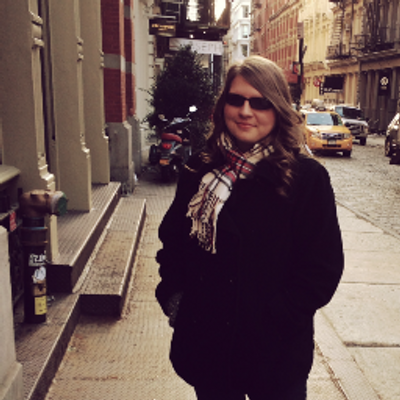 Through it all, Sweet Black Waves was still able to encapsulate you in its fast pace. Essy, the princess, was unlikable. No matter how hard I tried, I couldn’t warm up to her. I found her a bit bratty and rude at times. However, I do entirely agree with her reactions to her current situation and do believe that Perez truly captured Essy’s age. Whereas, Branwen seems entirely the opposite. I adored Branwen; she was courageous, reserved and loyal. Next to Essy especially, she was an old soul which truly made the characters distinct from each other. The relationship the two had was remarkably done. Throughout the course of the novel, we got to see the ups and downs of their sisterly relationship. Make sure to check out the author’s note in the back of the book as Perez discusses Tristan and Isolde, her inspiration of Sweet Black Waves. The ending was predictable and not only if readers are familiar with the tale of Tristan and Isolde. Perez gives readers several instances where she screams the ending throughout the story. However, just because the ending was easy to foretell, it doesn’t make the book any less entertaining. If anything, the predictable-ness of the ending was a way to help you prepare to wait for the next installment. There will be a sequel as this is the first book in a trilogy. I can't wait to check in with all the characters and see how Branwen is doing in her journey. Perez left it off well but it’ll be interesting to see where she leads her characters next as they embark on a new chapter of life. Sweet Black Waves by Kristina Perez takes you on a beautiful journey with an inspiring and strong female lead. The magical elements, gorgeous imagery, and heartbreaking story makes for a great start to a series. Sweet Black Waves is a magnificent read that will leave you wanting more.